Business Origami is a design tool and method used to create walkthrough models of services or systems in a collaborative workshop setting. It focuses on a user’s and system operator’s perspective. It brings together people with different backgrounds, experience and knowledge to discuss and jointly develop a solution through trial and error. Business Origami can be used to describe current services to understand potential stakeholder benefit and value. It is particularly useful for envisioning services and solutions that are complex and involve many different relationships. By engaging different people in a process of exploring solutions, it helps them to understand each other’s point of view, and can accelerate solution development. As its name suggests, a Business Origami workshop uses paper components to represent all the different elements involved in particular situation – for example people, devices, organisations and companies. Workshop participants associate locations with these elements, and then draw lines to identify the relationships between them. They can be arranged to show complex relationships from different perspectives, and easily changed, allowing for easy exploration and experimentation. In the fourth, most important step, people in the workshop confirm whether or not the relationships between elements are “win-win”. They then review and adjust the model through trial and error until it works well. 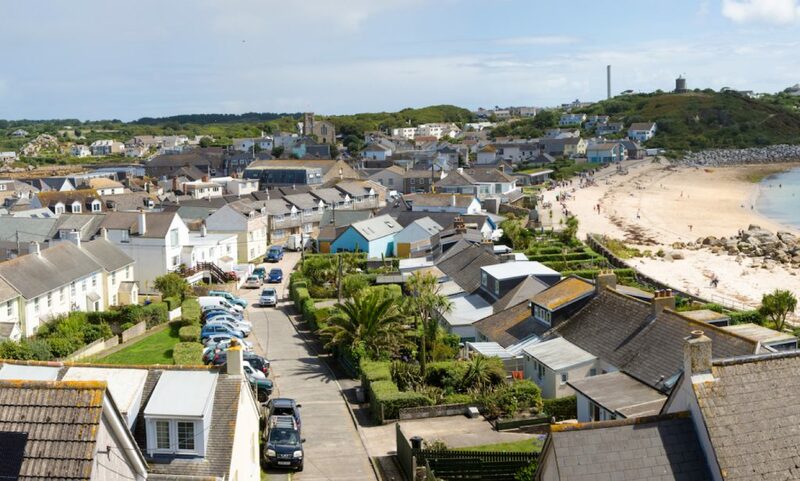 Hitachi’s European Centre for Social Innovation recently applied this methodology to a “Smart Islands” project (part-funded by the European Regional Development Fund) in the Isles of Scilly in the UK’s far south-west. Here, residents experience high levels of fuel poverty, yet there is abundant potential for renewable energy, and for energy-efficient refurbishment of the housing stock. Together with Hitachi Europe, the local authority, residents, business and partners, we ran a Business Origami workshop to explore how clean energy could be produced in conjunction with Internet of Things (IOT) technology. It helped stakeholders to see the potential value and risks of different business models. During this project, the European Centre for Social Innovation also helped understand the service delivery model, considering multiple stakeholders and ensuring a consistent, coordinated service experience for users.